Winter scene at Rockfish is hopping. 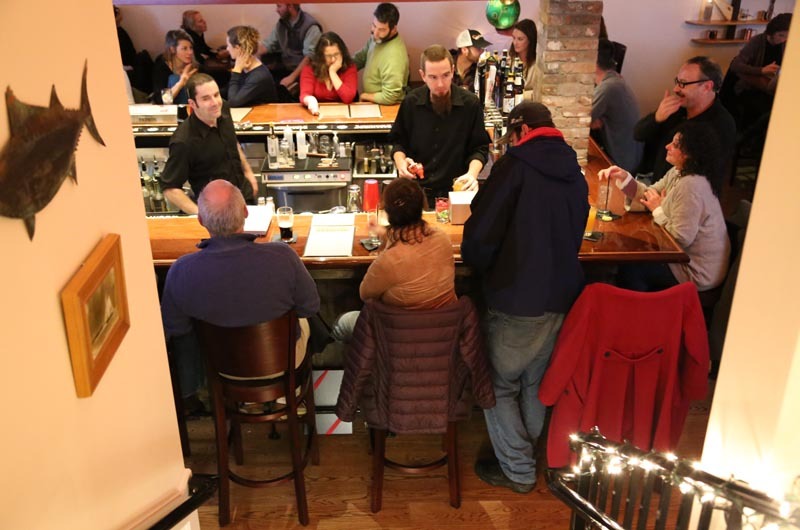 But inside 11 North Water street it might as well have been a summer night last Saturday, with bar stools and tables filled with guests who came to check out Rockfish, a tapas-style restaurant that opened two weeks ago. The building, which housed David Ryan’s for many years and more recently 11 North, has undergone extensive renovations over the past year. Beamed ceilings, a bar on each floor and a wood-fired pizza oven that came from the former Lattanzi’s restaurant are among the features. The owners are Nell, Will and Geoghan Coogan, siblings and Islanders who also own the Wharf Pub around the corner on lower Main street. “We all grew up in the business and it’s been fun to have all of us together,” Ms. Coogan said. The small plates-style menu came from executive chef John Shepherd, who has cooked in a variety of Island restaurants over the years, including the Wharf. After taking time off to focus on raising his family, Mr. Shepherd was ready to return to kitchen with the idea of opening a restaurant that served small plates highlighting high-end food. He assembled a local team with chefs Jeff Wingo and Paul Martino. For now, the menu features bar snacks such as almonds and olives, small plates such as shrimp and grits and pan-roasted pork belly along with several entrees. The plan is to change the menu often. And upstairs throwing dough in front of the wood-fired oven is the pizza guy: Libaldo (Chino) Perez. “The pizza gives another dynamic to this restaurant,” said Mr. Rebello. And as is the case with traditional tapas restaurants, Rockfish guests enjoy ordering several small plates to share with friends and relaxing for the evening as opposed to a more course-focused dining experience. 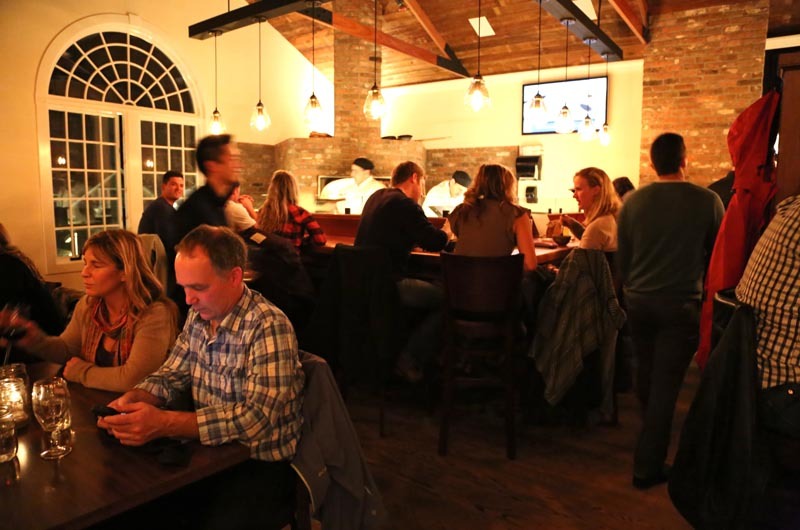 Rockfish plans to be open year-round. 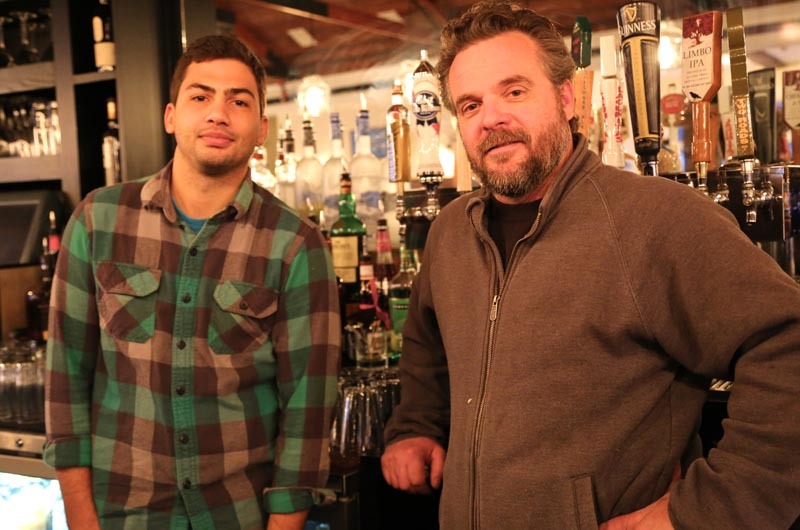 Kevin Foran and Sean Moriarty assisted in selecting the wine and beer list, and Mr. Rebello created the cocktail menu, which he says is both classic and contemporary. Rockfish's schedule will fluctuate during the holiday season. Call 508-627-9967 for information.